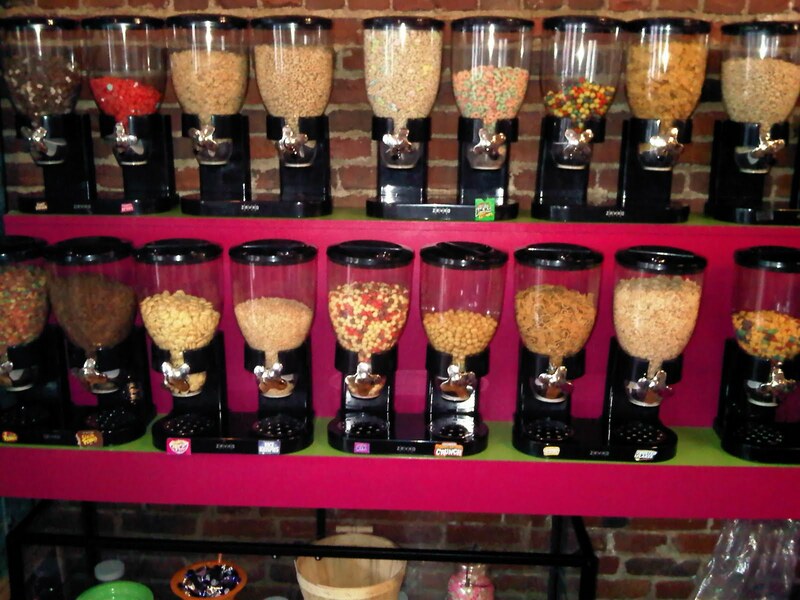 Yeah, that’s a “buffet”-type setup of BREAKFAST CEREALS (real ones.) The idea is you buy a bowl and then fill it up however. I’ve heard of places doing this, never seen one in the wild – AWESOME. Rest of the stuff ain’t bad either – “nostaglia-kitsch” kinda atmosphere goin’ on, lots of local /natural foodstuffs, board games and such on the tables, and what seems to be a good list of beer and wine. So glad I wandered in here. Place is on Essex St. in Salem, in case anyone currently-local is looking at this and it strikes yer fancy. EDIT: just now actually looked at the menu. Sample of nicknamed items from the sandwich menu: “The Fraggle Rock,” “The He-Man,” “The Super Mario Brothers” (meatball panini), “The Truffle Shuffle.” What a find. I like these guys. AICN: "First Class" is Silver-Age X-Men vs. Hellfire Club in the mid-1960s! I've never really trusted playing board games issued by a public venue. Best case scenario is that only a third of the pieces are missing. if you go for that kind of thing. Personally, I absolutely hate pretentious, contrived, eateries. And there really are very few things I actually hate. People who drive convertibles with the top UP on gorgeous sunny days are another, but I digress. I assume the proprietors are nice people and the style they're going for here is a style I would ordinarily be attracted to. The problem is that I just can't stand manufactured character. For example, a diner that has stood on the side of the highway for 50 years and displays meaningful memerobilia collected over those 50 years: that's cool because the place has soul. It has grown into what it is naturally. I wish people, interior decorators specifically, could just be happy being authentic, and not try to turn everything into something else. @robs- yeah that why i started useing my google XD. We're multiplying :P.
Shouldn't “the Super Mario Brothers” be lotsa spaghetti?